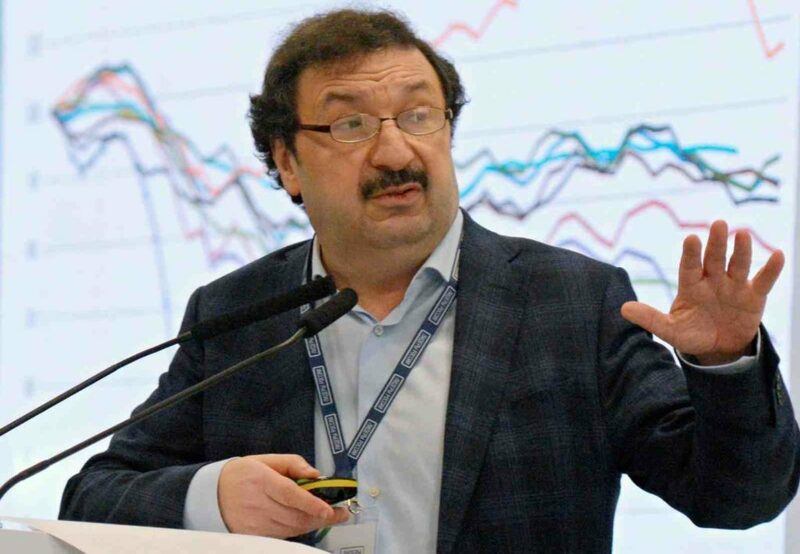 Invest Foresight interviewed President of the Russian Presidential Academy of National Economy and Public Administration Vladimir Mau about the current state of the Russian economy and risks for the national currency. The interview was taken during the presentation of the April Monitoring of the Economic Situation in Russia. – Mr Mau, what are the prospects for the national currency this year? – In 2018, we managed to overcome the ruble’s strong ties to the single-product export. More or less, it is much less dependent on the oil price fluctuation. It is not a drastic decline in the dependency but at least by some percentage. Clearly, if the oil price plummets or doubles it will affect the ruble but not like in the previous years when the charts completely matched each other. At the same time, the Russian currency (like any other currency that is not a global reserve currency) is still dependent on the foreign policy. Right now the major risks come from politics rather than the economy. – Is it possible to overcome the dependency? – Of course, not. But it is not too bad. We are forgetting that the fluctuation of the national currency is a damper in the context of the macroeconomic stability. The majority of the European Union’s problems are due to the fact that euro does not fluctuate according to the needs of individual national economies. If the ruble exchange rate was more stable our macroeconomic situation would be much more difficult. – How do explain the slow recovery of the economy? – The slow growth rate both in Russia and in the West after the 2008 crisis is rooted in a very successful anti-crisis policy. The government managed to prevent the destruction of banks, bankruptcy of companies, growth of unemployment and social tension. But, naturally, there was no fast rebound. It does not mean that the anti-crisis policy is something bad. We just need to understand that the more successfully we resist the crisis the more difficult it will be in terms of post-crisis growth. We went through the 2014-2016 crisis incredibly smoothly. The decline was minimal. For the first time, people did not convert their savings into foreign currencies. The gold and foreign currency reserves decreased only slightly. There was no growth of unemployment. All the formal parameters were in our favor. But the post-crisis recovery was also very slow and without any structural shifts.